Green tea is a good antioxidant, it helps with many different skin problems such as wrinkles, skin damage and acne. Some brands decided to give us cosmetics based on this ingredient - Neogen, Tonymoly, It's skin but if you ask any AB lover they'll mention Innisfree as one of the most popular green tea series. Innisfree is a Korean brand founded in 2000, this brand belongs to Amore Pacific. Their products are based on natural ingredients from Jeju - now you know why some series contains words 'Jeju'. They have a good recycling program, unfortunately, it doesn't work in Europe - but if you live in Korea or any other country where Innisfree has a shop you can probably leave the empty bottle there. 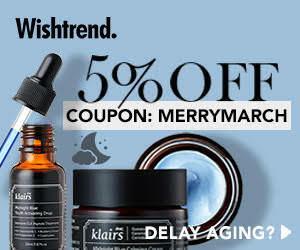 Their Green Tea Serum is one of the best-selling products. The bottle is packaged in a green box, as usually, we won't find too much information in English but if you learn Korean then you can try to learn something new from reading that - said a person who read the instruction on how to use WC cleaner in Hungarian for fun. What's interesting - this serum has an additional security cap so if you throw away the paper box or if you plan to travel with this product you can be sure it won't open on its own. This product is suitable for all skin types. Green tea series is a nourishing and moisturising series of products. Camellia Sinensis Leaf Extract - antibacterial emollient, good for all skin types, it's also an antioxidant. Propanediol - natural moisturiser and preservative. Biosaccharide Gum-1 - strong moisturiser, it changes the product's texture. Alcohol - a substance which a lot of people try to avoid, but on the other hand, it can strengthen product's action on our skin. Glycerin - moisturiser, but it might be comedogenic for some of you, Betaine - moisturiser made from beetroots. Camellia Sinensis Seed Oil - antioxidant, it has properties similar to Camellia Sinensis Leaf Extract. Camellia Japonica Leaf Extract - antioxidant, related to Tsubaki oil, works similar to Camelia Sinensis. Opuntia Coccinellifera Fruit Extract - moisturiser, it keeps our skin safe from UV rays and it regenerates skin. Orchid Extract - anti-ageing properties, Citrus Unshiu Peel Extract - skin brightening & pigmentation marks, Citrus Aurantium Bergamia (Bergamot) Fruit Extract - it gives smell and it moderates sebum production, Citrus Paradisi (Grapefruit) Fruit Extract - antioxidant, it makes skin soft, Citrus Sinensis (Orange) Fruit Extract - source of vitamin C and amazing scent, it has brightening properties, Citrus Tangerina (Tangerine) Extract - another antioxidant with lovely scent, helps for acne and it can increase collagen production, BIS-PEG-18 Methyl Ether Dimethyl Silane - a silicon wax, not safe for out health, PEG-60 Hydrogenated Castor Oil - it's not a safe substance, this substance shouldn't be used especially if you're pregnant, Cetearyl Olivate - an emollient, Hydrogenated Lecithin - it's like a photoshop for wrinkles, an emulsifier, Sorbitan Olivate - emollient, it prevents moisture loss, Acrylates/C10-30 Alkyl Acrylate Crosspolymer - thickener, Hydroxyethyl Acrylate/Sodium Acryloyldimethyl Taurate Copolymer - thickener, it makes skin soft in touch, Ethylhexylglycerin - a preservative, it boosts the product's efficiency, Theobroma Cacao (Cocoa) Extract - full in vitamins, regenerates the skin and moisturises it. Dextrin - thickener agent, Potassium Hydroxide - pH regulator, Disodium EDTA - synthetic substance, it has to help all the preservatives in their job - thanks to this ingredient our products are fresh for a longer time, Fragrance - scent. The texture is not very watery but it's not solid like a cream, it's something between toner/essence and lotion or toner/essence and cream. The smell is amazing, it's intensive and herbal/natural but after couple minutes it disappears. I have to admit - this serum is quite funny. I like the texture, it's really easy to apply it onto my face. I had neither comedogenic reactions to this product nor it helped with my acne. But that's not the role of this product. Innisfree Green Serum is a serum for all skin types, but in my opinion is the most effective serum for combination & oily skin types - my skin is definitely moister than before, the difference is not spectacular but if it comes to oily skin it's like a holy grail - finding a cream or serum which gives the skin moisture and no acne. I also had no allergic reactions to this products and that's a plus. I like the feel of this serum on my face, it's smooth in touch. I got used to this product and honestly, my opinion on this product is very good, it meets my expectations but now I already found another serum which I think it's better and I'm going to show it to you as soon as it'll be possible. According to the producer, this product doesn't contain "parabens, synthetic colourants, mineral oil, animal-originated ingredients and imidazolidine urea". It's quite a nice serum for all skin types, the ingredients might not be the best but it's worth a try if you love kbeauty or if you're a tea lover. I can really recommend this product if you need a very light serum. The price is not really cheap but I think it's worth the money. It's time for giveaway results. Over 30 people have taken part in the latest giveaway. I'm happy to hear that you like kherblog and you feel no distance between you and me because that's important for me - I always wanted kherblog to be a friendly and educational place. Of course, there was no bad answer - all the answers are amazing and for sure I'll try to make kherblog to be as useful as it only can be. I'm planning another giveaway for you soon so if you are not already a part of Kherblog family then you can follow this blog on GFC, Bloglovin, IG or Facebook for updates. It was really hard to select winners because I've enjoyed all of your answers a lot but of course, I have to choose someone and this time I'm giving away two Skin79 cat sets to Elf Naczi and mrsfox. Please send me a message as soon as you can - you can send it through e-mail or facebook page. Congrats to winners and to all the participants and readers. I hope that you'll also enjoy the next giveaways as well. Zielona herbata to świetny antyoksydant, pomaga na wiele problemów naszej skóry takich jak zmarszczki, uszkodzenie cery czy trądzik. Niektóre marki opierają całe linie swoich produktów na tym składniku, chociażby Neogen, Tonymoly czy it’s skin. Jednak jeśli zapytacie się maniaków azjatyckiej pielęgnacji o serie z zieloną herbatą to w pierwszej kolejności wymienią nic innego niż kultową już serię Innisfree Green Tea. Innisfree to koreańska marka utworzona w roku 2000, należąca do koncernu Amore Pacific. Produkty tej firmy oparte są na naturalnych składnikach z wyspy Czedżu (Jeju) - teraz już wiecie skąd ten dopisek „Jeju” w nazwie kosmetyków tej marki. Dobrą strategią firmy jest ich program recyklingu, który niestety w Europie nie działa, ale jeśli mieszkacie w Korei lub innym mieście gdzie można zostawić puste opakowania w sklepie to zachęcam Was do udziału w takiej akcji. Serum z zieloną herbatą to najlepiej sprzedający się produkt tej marki. Buteleczka została zapakowana w zielony kartonik, jak zwykle nie znajdziemy tutaj za wiele informacji w języku angielskim, a tym bardziej polskim, ale jeśli uczycie się języka koreańskiego to uznacie to jako wyzwanie do nauki - powiedziała osoba, która czyta instrukcję produktu do dezynfekcji toalety w języku węgierskim dla jaj. Co ciekawe - serum to ma dodatkową zatyczkę, która zapewnia nam bezpieczeństwo produktu, jest ona bardzo przydatna w czasie podróży. Produkt jest odpowiedni dla każdego typu cery. Seria z zielonej herbaty to seria odżywiająca i nawilżająca. Camellia Sinensis Leaf Extract (ekstrakt z liści zielonej herbaty) jest antybakteryjnym emolientem, który współgra z każdym typem cery, jest to również antyoksydant. Propanediol to naturalny nawilżacz i konswerwant. Biosaccharide Gum-1 (fukożel) to silny nawilżacz, który zmienia konsystencję produktu. Alcohol (alkohol) - substancja, którą wiele osób nie chce widzieć w swoich produktach do pielęgnacji, jednak z drugiej strony może ona podbić działanie produktu na naszej skórze. Glycerin (gliceryna) to nawilżacz, który może zapychać, Betaine (betainy) - nawilżacz zrobiony z buraków. Camellia Sinensis Leaf Oil (olej z zielonej herbaty) - antyoksydant z działaniem podobnym do ekstraktu z liści zielonej herbaty. Camellia Japonica Leaf Extract (ekstrakt z liści kamelii) - antyoksydant, związany z olejkiem tsubaki, działa podobnie jak ekstrakt z liści zielonej herbaty). Opuntia Coccinellifera Fruit Extract (ekstrakt z owoców opuncji figowej) - nawilżacz, chroni cerę przed promieniami UV i pomaga w jej regeneracji. Orchid Extract (ekstrakt z orchidei) posiada właściwości przeciwstarzeniowe, Citrus Unshiu Peel Extract (ekstrakt z mandarynki japońskiej) odpowiada za rozjaśnienie cery i usunięcie przebarwień, Citrus Aurantium Bergamia (Bergamot) Fruit Extract (ekstrakt z owoców bergamotki) odpowiada za zapach i moderuje produkcje sebum. Citrus Paradisi (Grapefruit) Fruit Extract (wyciąg z grejpfruta) to antyoksydant, który sprawia, że cera staje się miękka, Citrus Sinensis (Orange) Fruit Extract (ekstrakt z pomarańczy) to źródło witaminy C, składnik ten nie tylko rozjaśnia cerę, ale i odpowiada za zapach. Citrus Tangerina (Tangerine) Extract (wyciąg z tangeryny) to kolejny antyoksydant z pięknym zapachem w akompaniamencie, pomoże na trądzik i podniesie produkcję kolagenu. BIS-PEG-18 Methyl Ether Dimethyl Silane to nic innego niż wosk sylikonowy, który nie należy do bezpiecznych dla naszego zdrowia, podobnie w przypadku PEG-60 Hydrogenated Castor Oil - substancji, która nie jest zdrowa, tym bardziej kobiety w ciąży powinny jej unikać. Cetearyl Olivate (oleinian cetylostearylu) - emolient, Hydrogenated Lecithin (uwodorniona lecytyna) - mówiąc krótko i zwięźle, to taki photoshop dla zmarszczek i emulgator w produkcie. Sorbitan Olivate (oliwian sorbitolu) - kolejny emolient, odpowiada on za zapobieganie utraty wilgoci z cery. Acrylates/C10-30 Alkyl Acrylate Crosspolymer - zagęszczacz, Hydroxyethyl Acrylate/Sodium Acryloyldimethyl Taurate Copolymer - kolejny zagęszczacz, który sprawia, że cera jest miękka w dotyku. Ethylhexylglycerin (etyloheksylogliceryna) - konserwant, który może wzmocnić efektywność produktu, Theobroma Cacao (Cocoa) Extract (ekstrakt z kakaowca) - pełny witamin ekstrakt, który regeneruje i nawilża. Dextrin (dekstryny) - zagęszczacze, Potassium Hydroxide (wodorotlenek potasu) - regulator pH, Disodium EDTA - syntetyczna substacja, która ma pomagać konserwantom w ich pracy - dzięki Disodium EDTA produkt pozostaje świeży przez długi czas, Fragrance - aromat zapachowy. Tekstura nie jest wodnista, ale nie jest też tak zagęszczona jak krem, to coś pomiędzy tonikiem/esencją, a lotionem lub tonikiem/esencją a kremem. Zapach jest cudowny, jest intensywny i ziołowy/naturalny jednak szybko się ulatnia. Muszę przyznać, że to serum jest zabawne. Lubię jego teksturę, łatwo się je aplikuje. Nie zapycha mnie, ale też nie ratuje mnie przed trądzikiem, jednak i tak to nie jest zadanie tego produktu. Innisfree Green Serum to serum dla każdego typu cery, jednak w mojej opinii cera mieszana i trądzikowa najbardziej na nim zyskają - moja cera jest zdecydowanie bardziej nawilżona, niż wcześniej, różnica nie jest aż tak spektakularna jednak mimo to produkt ten uważam za mały święty Graal dla cery tłustej - znalezienie kremu czy serum do tego typu cery, które nawilża i nie powoduje trądziku jest nie małym wyzwaniem. Nie miałam reakcji alergicznych na ten produkt, a więc jest to plus. Bardzo lubię uczucie, jakie pozostawia ten produkt na mojej skórze - jest ona miękka w dotyku. Co prawda przyzwyczaiłam się do tego produktu i mówiąc szerze, produkt ten jest bardzo dobry i spełnia on moje wymagania, jednak znalazłam już inne serum, które wydaje mi się być lepsze niż to i niedługo pokaże Wam je na blogu. Powołując się na informację ze strony producenta, produkt nie zawiera „parabenów, syntetycznych barwników, oleju mineralnego, składników pochodzenia odzwierzęcego i imidazolidyno mocznika”. To bardzo fajne serum dla każdego typu cery, składniki mają swoje wady jednak jeśli kochasz koreańskie kosmetyki i herbatę to produkt ten wart jest wypróbowania. Jeśli potrzebujecie lekkiego serum to będzie to dobry wybór. Cena produktu niestety nie należy do najtańszych, mimo że wart jest swojej ceny. Czas na wyniki rozdania. W rozdaniu wzięło udział ponad 30 osób. Bardzo się cieszę, że podoba się Wam kherblog i że nie czujecie dystansu między Wami a mną, jest to dla mnie ważne, ponieważ zawsze chciałam aby kherblog był miejscem przyjaznym i edukacyjnym. Oczywiście w konkursie nie było złych odpowiedzi - wszystkie odpowiedzi były świetne i na pewno spróbuje, aby Kherblog był dla Was tak użyteczny jak tylko się da. Już teraz planuje kolejne rozdania więc bądźcie czujni, jeśli jeszcze nie dołączyliście do naszej kherblogowej familii (jakkolwiek to po polsku brzmi) to przyłączcie się do mnie na GFC, Bloglovin, Ig czy na Facebooku po najnowsze wieści. Wybór był bardzo ciężki, ponieważ wszystkie odpowiedzi były dobre i świetnie mi się je czytało, jednak muszę dokonać wyboru i przekazać Wam dwa kocie zestawy Skin79, zestawy lecą do Elf Naczi i mrsfox. Proszę skontaktujcie się ze mną w celu wysłania nagrody - im szybciej tym lepiej - możecie wysłać wiadomość poprzez e-mail lub stronę na FB. Gratulacje dla zwycięzców i wszystkich uczestników oraz czytelników :) Mam nadzieje, że kolejne planowane rozdania również przypadną Wam do gustu. Gratuluję :) Lubię zieloną herbatę, pić, bo kosmetyków z nią raczej nie mam. Congratulations to the winners! And this sounds like a really lovely serum but might not be right for my dry, mature skin. .. and congrats to the winners! Lovely post! congrats for the giveaway and result! Nie znałam dotychczas tego produktu. Zielona herbata stosowana zewnętrznie i wewnętrznie bardzo mnie przyciąga. Głęboko wierzę w jej dobroczynną moc. Możliwe, że wypróbuję kiedy skończę "już otwartą pielęgnację" :) Jestem pod wrażeniem zaangażowania z jakim piszesz recenzje! Zawsze są rzetelne i przesycone informacjami! Wow! Your blog is a very educational place. I love how you always go into details about property of any product or even in detail about the ingredients. Today I washed my face with green tea...or was it black tea? I think that's kind of a similar thing. I stayed up until 3 am reading an amazing novel, so I felt like washing my face with something like that might help. It sure can't hurt, right? Anyway, I'm happy to hear that this serum worked well for you and didn't cause you any skin irritation. Sounds so relaxing and natural! Love green tea products! I think I would need a heavier serum so this may not be the best option for me. Thanks for sharing though! Seems a great serum, i think i'd like it! pierwszy raz spotykam się z tym produkte. Bardzo chętnie bym go przetestowała. The packaging is so cute,when standing next to the smoothie it also looks like a drink. :') I love reading your posts, they're so informative and educational. I'm looking for something for my dry-ish skin but it's so easy to get lost in the sea of products. This serum sounds lovely and the bottle design is ideal for taking with you when travelling anywhere! Bardzo ciekawy produkt. Mam nadzieję, ze kiedyś go przetestuję. Sounds really interesting! I'd actually love to try this! Great post. I love natural products!